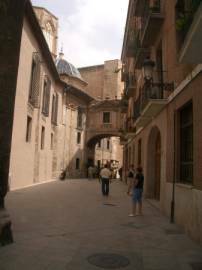 Valencia has an absolutely stunning and compact old town centre surrounded by impressive buildings, charming squares, exquisite gardens and quaint little streets. It is a pleasure to ramble idly around soaking up the old-world atmosphere and ambience. I have recently returned from a 3 day visit to Valencia, one of Spain's largest and most beautiful cities situated on the Mediterranean between Barcelona and Alicante. It is a truly exquisite city and it is baffling that it is not one of the more popular city break destinations. Its wonderful eclectic mix of old and new blends perfectly and harmoniously in this city full of spirit and character. We stayed at the Hotel Sorollo, right in the centre of old Valencia, just round the corner from its magnificent Town Hall and the very ornate Train Station and Bullring. This hotel is very keenly priced and you couldn’t have a better location for sightseeing, shopping and eating out. Breakfast is extra (approximately €7.50 per head when we were there). Should you choose not to partake of your early morning repast here, all you have to do is step out on to the street and there are a variety of cafés, restaurants and tapas bars where you can eat for probably a little less. Valencia has an absolutely stunning and compact old town centre surrounded by impressive buildings, charming squares, exquisite gardens and quaint little streets. 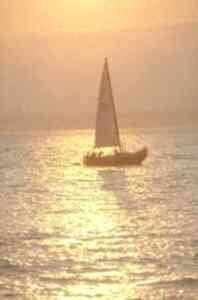 It is a pleasure to ramble idly around soaking up the old world atmosphere and ambience. The Bullring, right beside the Train Station, resembles the Roman Coliseum and still stages regular and authentic bullfights. I couldn’t quiet bring myself to attend, but maybe for the less faint-hearted it could be an attraction. 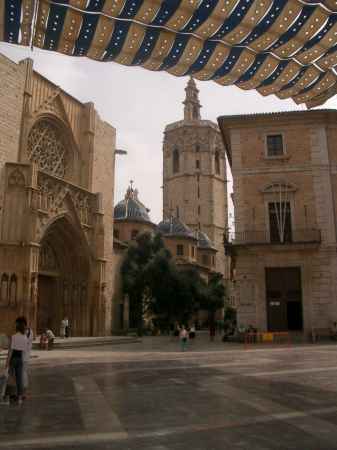 A must for me was a visit to the Cathedral in Plaza de la Reine. This is the final resting place of the much sought after Holy Grail or the chalice that Our Lord and the Apostles drank from at the Last Supper. It resides in a small glass case in the Capitulary Chapel in the Cathedral and is venerated and visited by thousands each year. The Plaza del Ajuntamiento is the largest and one of the most picturesque squares in Valencia and is ideal to wander around or to sit for a while and admire the very impressive Post Office and City Hall buildings and its splendid fountain. In Valencia`s golden age it boasted one of the biggest Silk Markets in the world at La Lonja and today Valencia is still a city of markets: at Mercado Central a wonderful food market where you can buy authentic Valencian produce, Plaza Redonda – the Sunday Market, El Rastro – where you can buy anything from the totally useless to rare finds, plus antique markets, and many more. All markets start around 9am and begin winding down around 2pm. We visited the Sunday market which was bustling with life and colour – a cultural experience not to be missed. 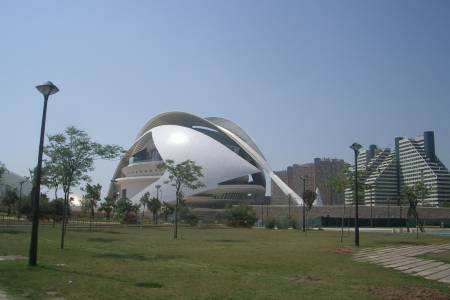 The most spectacular sight in Valencia is the space-age futuristic City of Arts and Science. Trust me, this breath taking feat of architecture has to be seen to be believed. It comprises the Museum of Sciences – a long building with 3 floors of interactive science material on topics like electricity, lasers, physical laws, the human body, sport sciences, sound, light, a planetarium and much more. The Marine Park incorporates a section on every marine zone in the world, from the Arctic to the Mediterranean. The IMAX Cinema is a 3D cinema where everyone lies on the floor and watches the hemispheric screen above them. The Opera and Concert Hall – the Palace of Arts has four auditoriums covering everything from classical concerts to opera to theatre plays. Finally, there is the Greenhouse – a long promenade with species of plants from all over the world. This whole area will just blow your mind and the visitor just cannot leave the city without seeing it. As if all that wasn’t enough, Valencia is a unique city, having its parks and gardens right at its very core. In 1957 the river Turia, which ran through the centre of the city, was diverted due to flooding and in its place were planted the most wonderful and exotic parks and gardens, making a stroll through the city extremely pleasurably and picturesque. One of the most enjoyable features of Valencia for me was the marvelously social tradition of street eating outside the numerous cafés, restaurants and tapas bars. 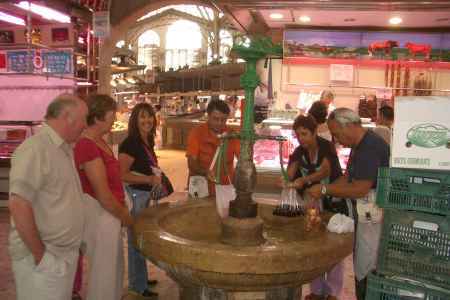 Each evening the Valencians spill out on to the streets to eat, to drink and to converse with each other. The Tapas or Snack Bars are all over the place – serving a myriad of paellas and bocadillos which resemble bruscetta – but the roll is just sliced – not toasted - with a huge variety of toppings, such as cream cheeses, smoked salmon, rashers, ham, anchovies, olives, prawns, squid, placed on top, and all can be surveyed behind little glass shutters which you lift and fill your plate with whatever you want. This can be done many times of an evening using a single plate, settling the account at the end of it all. The city totally come to life with all this street eating and the Valencians are a lovely friendly people with a dialect all of their own. One could never be lonely in Valencia. There is so much to do, so much to see and so much to savour and enjoy. Such as Aqua de Valencia – a mouth-watering blend of Spanish Champagne, freshly squeezed oranges ( what else in Valencia?) and some unknown ingredients – giving this drink a most refreshing and 'could I have some more please' flavour. Ladies, it is also a splendid city for shopping, with a very fashionable High Street and prices a lot keener than Dublin. I cannot recommend this city highly enough. So go on, treat yourselves to a couple of days in this truly magnificent city of flowers, light and love! A comprehensive online guide to sights, tourist attractions, accommodation, travel, nightlife, culture, restaurants and shopping. If you enjoyed reading the above article then you will probably also enjoy Florence by Maria Nolan, and Switzerland, also in Europe, and our latest articles covering the Orinoco Delta, La Mata, Marbella and Beijing.